`Hoop Soorath Aakain Vali Sabeetha’ - Sabeetha, the young woman with most beautiful eyes...; when announced in Urdu, Sabeetha got on to the stage amidst a thundering applause to receive the Special Award presented to her for the service she rendered to the Pakistan film industry by taking part in 17 Urdu films. “At that function, only my mother was with me. I thought if my Sri Lankan fans could also see it how fortuitous I would have been,” said Sabeetha reminiscing on one of the most memorable events in her life. Her fans see her stunning beauty and the versatile talent on celluloid. Who has not got enticed to her mesmerising brown eyes? The beauty who still could lure and steal male hearts of any age and in any walks of life, at present has diverted her life towards her family. But, still her classy glamour in an attraction where ever she appears or whenever her name is announced. Sabeetha Perera, the famous `cats eyed’ actress who has won acclaim internationally not merely from `fans’ but also from `fanatics’ who have been charmed and beguiled by her beauty. Fame and beauty, in many occurrences in world history resulted in failure in personal lives. But what we are going to talk about Sabeetha is quite contrasting. 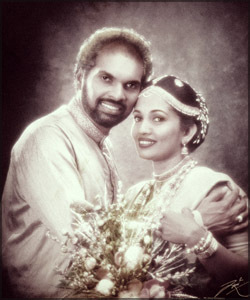 After being a top Star in the Lankan filmdom for nearly three decades since the age of 13, and facing many ups and downs in life Sabeetha finally found her life partner 12 years back. What does `he’ have to talk about her, who sees her as his `woman’ and not as the scintillating star in the sky? “She is intelligent, calm and has an answer and solution for every problem that crops up in life,” says Upali getting frank about his wife. 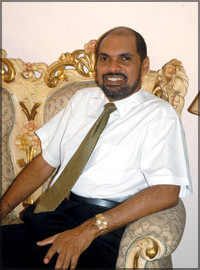 Don Upali Jayasinghe, a well known business guy; the present owner of his family business, D.P. Jayasinghe and Company; the luckiest of the luckiest to win one of the most ravishing stars in Sri Lanka begins to unfold his story of life with her. “I was born on September 9 in Colombo, lived at Kotahena, Dehiwala and then at Mount Lavinia. We shifted into our nest at Sri Jayawardanapura after our marriage,” he says cleverly hiding his `year of birth’, but reveals the date of birth as he does not mind receiving a bouquet of flowers on his `birthday’. When an owner has such an enchantingly beauty wife who likes to reveal his real age? Better not! But, all what we see from one’s outer appearance is not their real life, and could be totally different to what we imagine of them, Sabeetha and Upali; Touch Wood! May not any evil force affect them are living happily a contented life. Their eight year old son, Chandupa who studies at the British School, Colombo has a little idea of his Mum as a star and his father as a top businessman. What he experiences is their extreme love and warmth only. “I’m the oldest of the four boys in our family. My brothers; Mangala, Ranjan and Pradeep are also running their own businesses,” begins Upali. “I studied at Ananda College, Colombo. Played Cricket for Under 13, and later was a Committee Member of the Sri Lanka Cricket Board from 1996 to 1999,” he says. Question: We’ve heard you were among the mischievous lot at school? Upali: (Laughs) I was. With the intention of disciplining me, once I was given the Class Prefectship for a month when in the O/L class. But, that I could keep only for one week. The shot I gave on another brat’s face over an unjustified act, made my Masters to remove my Prefect Badge from my uniform. The brother next to me was born when I was ten years. So, until then, I was on my Mum’s lap. I relished the fullest love of my parents. My father has been a quiet and calm person. But, my Mum was an out-going benevolent character. Question: Are you still the same `imp’? Upali: (Laughs) Mmmm.. I’m a matured guy now. However, we’ve got a Buddhist environment since we were kids. Both my parents were pure vegetarians. They even first met each other at Sri Pada when they went there on a pilgrimage. This background assisted us to lead a charitable life throughout. Though I was the favourite of my Mum, all four of us got equal love and care from our parents. Question: Do you see `you as a boy’ in your son? Upali: No. He is quite different. A kind hearted and compassionate child. The first thing he does in the morning is that to find out about all the assistants at home. He goes to the watcher and asks whether he has had his morning tea. Sabeetha’s influence is on him in abundance. After doing A/Ls in the Commerce stream, Upali followed an Auto-mobile Engineering course in the Colombo Technical College, and then entered to the Hammersmith Technical College in UK to do a higher Diploma. “My father had come to Colombo from Mathugama with a lump sum of Rs,5000. He was in the transport business, and had bought his first lorry for Rs,1000. I still remember the lorry; `Carbery Ford’ which was a world famous brand during the second world war. We kept it until recently as a souvenir until it got rusted and wrecked down. My father diverted his Tours and Transport company to exclusive government transportation. At present we deal with Constructions and Property Developments too. We have more than a 300 staff working with us,” says Upali. Question: How did you first meet Sabeetha? Upali: I once got involved in a Co-production of a Pakistan film called `Saath Sahiliya’ (Seven Girl Friends). actually, Bangladesh and India were too involved in it. But, I failed to get a copy for the screening in Sri Lanka. It was a loss of one Million. I tried to contact the Pakistani party. For this purpose, somebody asked me to get at Sabeetha as she had been involved in Pakistan films during that time. It was the first time I called her, in 1990. Wennappuwa and Sabeetha continued her studies at Holy Family Convent, Wennappuwa. Sabeetha’s first and second appearance on the Silver Screen occurred simultaneously, when she was three years old, as the daughter of her own father, Stanley Perera in the film `Ivasana Dana’, and then as the daughter of her Mum, Girlie in the film, `Hathara Kendaraya’. However, Jayavilal Vilegoda in his film critique mentioned that the best acting that he could point out in both films were that of the small actress, and that person was none else, but little Sabeetha. Her father became a Director with his first film `Tom Pachaya’ which he did with Roy de Silva. Sabeetha who was about 12 - 13 years were among the spectators at the shooting of the film. J.Selvaratnam who saw the charming teenager, determined to get her for his next film which was based on a teenage love. Though she was in her mid teenage, Sabeetha looked quite well built to her age. Her parents who had a hidden desire to see one of their daughters on the Silver Screen encouraged Sabeetha to accept it. After going through a hectic schedule to get permission from her Convent school which had imposed strict rules on its girls, Sabeetha faced the camera with her first lover on the screen, Jagath Rohan. Jagath was the son of veteran actor Prem Jayanth and was his first film as well. The first shot before the cinematography camera was a nightmare as she still remembered how she heard the `lub dub’ beat of her own heart which she had to control with great endeavour obeying to the command given by the Director. She just did what he asked her to do. However, acting, shooting and films had been in her world ever since she was tiny. The Cat’s eyed teenage school girl’s inborn talents which she inherited from her parents made the film a great success. The Director who instinctively predicted his newest film was going to be a box office breaker named the film by the main actress’ name, `Sabeetha’.... And that was how another star queen was introduced to the Silver Screen. The film which was full of love scenes, however did not affect Sabeetha’s personal life as a school girl. She continued her studies while playing a role in her father’s second direction, `Sanda’. Sabeetha, was a friendly, refined and quiet bookworm who concentrated on her studies. After sitting for the A/Ls in the Commerce stream, she wanted to go for her higher studies. But, it was at this point that fate diverted her to another route. Invitations for Commercial films started flooding. Sabeetha who had learnt dancing ; ballet under Channa Wijewardane, Bharatha dancing from Padmini Dahanaike and Kandyan dancing from Rajini Selvanayagam became the most indispensable actress in the Lankan filmdom during 1980s. Yasapalitha Nanayakkara’s film `Rosy’ turned a new leaf in her life when a Pakistan film crew who was shooting in Sri Lanka saw her and invited her to do the co-main role meant for a Sri Lankan actress in it. `Sadaakal Randeva’ (Sinhala title with the meaning of `May you live long’) based on the famous novel `Never say Good Bye’ screened in Pakistan as `Kabi Al Vidana Kena’ was the super hit both in Sri Lanka and Pakistan that year. Pakistani Director Nazar Shabab who knew it was the Sri Lankan actress that made his film the success it was almost forced Sabeetha to continue to take part in Pakistan films. This was how she ended up in acting the main roles in 17 Urdu films. Her parents, sisters, fiends and relatives who have been behind her throughout her journey shed tears of joy at her success and lamented with her when she was down and out, especially when she faced failures in her personal life. “No one is perfect. No one’s life is perfect. I’m sensitive, and would weep over the things that would fall out from my hands. But that’s all. The next minute I could stand up, close that chapter completely, and start my life again. That way, I’m a strong character. I accept all such problems as disguised blessings in life,” said Sabeetha. “What she has said is true. She is a strong personality. I admire that a lot. Apart from that she is very sincere and caring,” approves Upali butting in. “I first met her in 1996, when she advertised her Pajero. We got to know each other for three years and got married on August 4 in 1999. I didn’t fall only for her beauty, but for her intelligence. She reads a lot, especially on Buddhism. She is an ardent Buddhist, and always says that we should not get attached to things too much. More we get attached more we invite suffering. And I too believe in that. She says that there’s a solution to every question and problem as according to the Buddhist Doctrine,” explains Upali. `Sarasaviya’, Presidential’, `OCIC’ and `Swarna Shanka’; every film award festival has rewarded Sabeetha since the time she stepped into the Cinema. She was awarded with a Merit Award in 1980 for her role in `Aadara Geethaya’ directed by Amaranath Jayathilaka, Best Actress Award for H.D.Premaratne’s `Deveni Gamana’, the Presidential Award for the Up and Coming Actress in mid 1980s, Best Actress Awards for both `Sisila Gini Gani’ and `Podi Wije’. Sabeetha earned fame eminently in her career mainly for her enchanting acting in the Commercial films. But, Tissa Abeysekara’s `Viragaya’, Daya Wimalaweera’s `Sujatha’ and `Chaaya’ are among the films that proved her skills and talents in artistic acting which rewarded her with popular as well as critics’ awards. Apart from over hundred films she acted, Sabeetha won the Best Supporting Actress’ Award for the teledrama `Pitagamkarayo’ in the end of 1990s. In addition to them Sabeetha’s role in `Blending’, bilingual (English and Sinhala) film directed by Mohan Niyas and the two Tamil films, `Nanguram’ (Anchor) and `Isai Payanam’ (A musical Journey) are among the films that still live in the memory lane of film goers.A busy life with films was the only subject with her since she was a teenager. Once, Sabeetha said, when looked back she hadn’t had a normal life which a 15-20 year-old girl would have had. “I missed most of the things I intended to do. Not merely the higher education, but subjects like cookery, dress making, Finishing School and Interior designing which I, as an impassioned young woman liked to do. I had not even had much time to go on a trip with my family. When I see love couples walking on the street holding their hands I tend to think how I’ve missed all that free life. I had some life like that only in films. I had become a bride more than fifty times in films, but in real life only with Upali,” she once said to the Sunday Observer. Question: After the marriage Sabeetha has been devoting her life and time for herself and family. Is she contented about her life now? Upali: I think so. She has had all the glamour since she was a teenager. 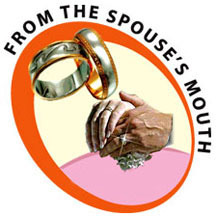 Then she wanted to lead a normal life with a good marriage. Now she is a wife and a mother. She knows her responsibilities and tries her best to devote herself for the family. Her mother is with us now. Sabeetha’s father is mostly with her eldest sister in Matara as she has needed the family support since her husband’s death. Sabeetha accepted the Unmada Chitra’s role in Jackson Anthony’s `Aba’ only after nine years. It was her decision to limit her career and not mine. I have given her freedom (smiles).